The Internet of Things (IoT) is bringing multiple benefits and improvements in various sectors of the economy. Nowadays, majority of companies have switched to IoT and are willing to invest in it. According to a report created by Gartner, more than 43% of the companies worldwide, have adopted IoT. 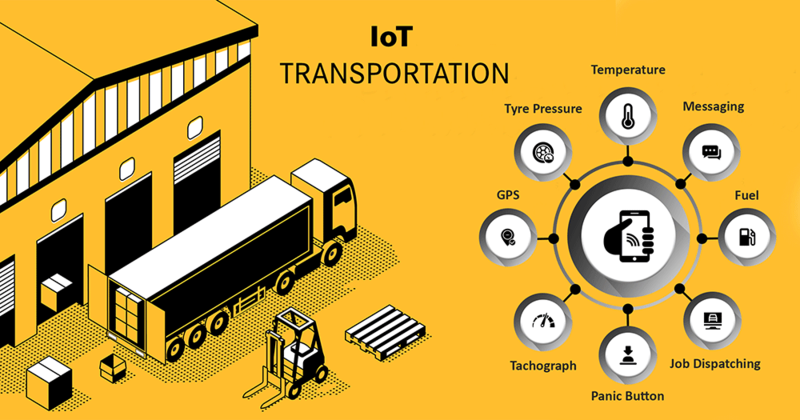 For organizations struggling with transportation related problems, Internet of Things can come to rescue. It will definitely make our lives a lot simpler by offering solutions to complex problems. Internet of Things will reduce costs and increase throughput. Through IoT we can see autonomous vehicles becoming a reality. These are few benefits that we can immediately witness in the transportation industry and there will be more such benefits coming our way.